﻿ Best Price on Hotel Tropico Latino in Santa Teresa + Reviews! Hotel Tropico Latino is located in Santa Teresa beach in Nicoya Peninsula. 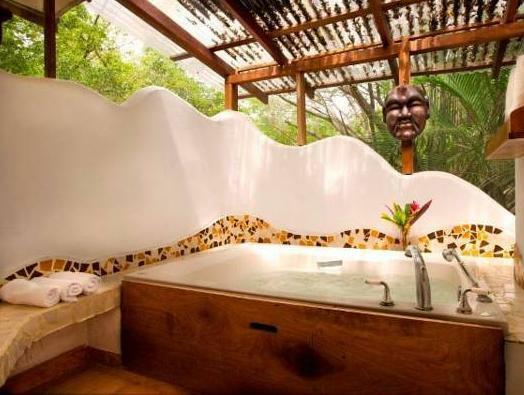 It has a full spa with natural products, as well as a yoga studio and Mediterranean restaurant. 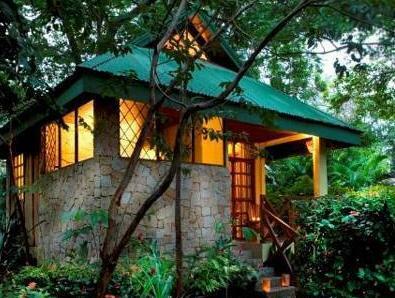 The exquisitely-designed tropical bungalows and suites, built with exotic hardwoods, are surrounded by tropical gardens. A mini-bar, coffee maker and complimentary coffee are included. All bungalows and suites feature luxury amenities, air conditioning, ceiling fans, hot water and security safe. The beach-front suite also offers a private saltwater pool and hot tub. Guests can enjoy at the Shambala Beachfront Restaurant organic international cuisine and a healthy food menu featuring organic fruits and vegetables, local fresh fish, seafood and meat. The full-service spa offers professional massages, wraps, exfoliations, facials, and other services such as acupuncture, manicures and pedicure. The yoga center features daily Vinyasa Flow yoga classes and retreats on the two beach-front, open-air decks.